For every action, there’s an equal and opposite reaction. That’s Newton. And for every earth-shattering idea, there’s an equally horrific thought that somehow makes its way into production. Then, sadly, to our desks. These are the least great ideas we’ve seen in 2014. May they be a lesson to you. 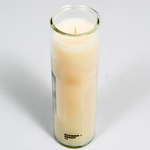 It’s a candle inspired by the belle epoque of our generation, 2000s Bushwick. Notes include wood, oil, paint thinner, booze and dust. And with that, the New York artisans finally copped to being out of inspirations. Have you ever wanted to combine the comfort of sweatpants with the social unacceptability of a onesie, all wrapped up in the guise of a suit? Of course you haven’t, because you don’t want “He was pretty tacky” etched onto your headstone. In a vacuum, a service that lets you find a restroom anywhere in the city for a nominal fee is not the worst idea you’ve ever heard. Let us know when you find a rent-controlled vacuum. 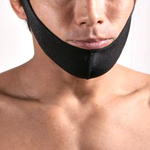 Great news for those who eagerly anticipate a future of long-term maxillofacial damage: it’s a band that constricts your jaw to help mold and tighten it. Allegedly. Bonus shock: it comes to us from Japan. Nothing screams romance like consultancy, so here’s your online-dating secretary. They’ll send your messages, manage your profile and filter prospects. The site actually says, “You didn’t join dating sites for endless messages back & forth on a computer screen.” Christ, what’s next, eventually meeting them in person?